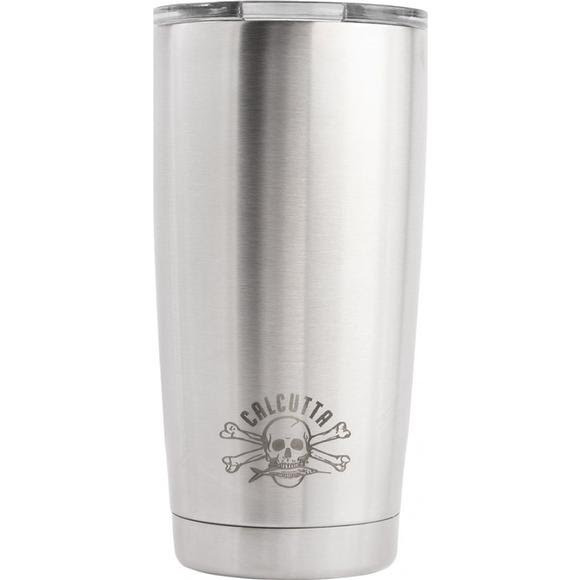 The Calcutta Traveler Insulated tumblers are built for stalking the flats, chasing fish offshore, tagging along to work or just relaxing on the beach. Even in the heat of summer, your Calcutta tumbler won't sweat. And no matter where your next adventure takes you, your Calcutta tumbler will keep your summertime beverages ice cold (and your coffee steaming hot). The Calcutta Traveler Insulated tumblers are built for stalking the flats, chasing fish offshore, tagging along to work or just relaxing on the beach. Even in the heat of summer, your Calcutta tumbler won&apos;t sweat. And no matter where your next adventure takes you, your Calcutta tumbler will keep your summertime beverages ice cold (and your coffee steaming hot). Calcutta Traveler mugs are double wall constructed with 18/8 Stainless Steel and BPA free. Includes removable lid. Hand wash only.